The Sonic Youth man will be taking your questions live, find out more below. Tomorrow (April 13) will see a special edition of The Quietus Hour, with Sonic Youth's Thurston Moore in conversation with tQ's John Doran streaming live via our Facebook page from midday. Over the course of an hour, Moore will be discussing about a variety of subjects covering his career, as well as picking music to play through the show. He'll also be discussing his upcoming solo album Rock N Roll Consciousness, released later this month, which features contributions from former Sonic Youth drummer Steve Shelley and My Bloody Valentine bassist Debbie Googe. 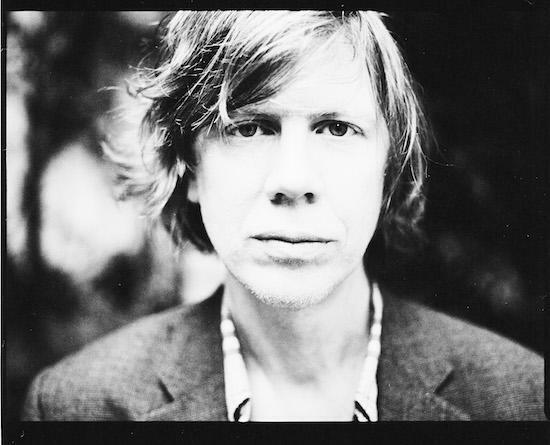 You can send your questions in for Thurston Moore live throughout the chat too if you so wish. If you want to make sure you don't miss the live stream, just head over to our Facebook page here and make sure that you have notifications set to 'On' underneath the 'Following' tab on the page.